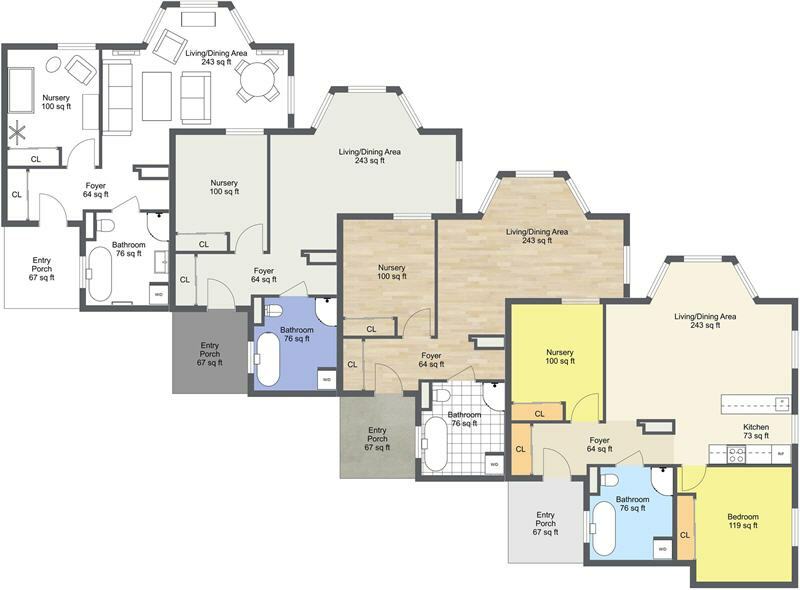 As a RoomSketcher Pro subscriber, you can customize the floor plans you receive from RoomSketcher Floor Plan Services. Add color, labels, branding, and much more. This article provides an overview of the many options. You can customize your 2D Floor Plans to suit your project type or brand. Color code rooms, create black and white floor plans, change wall colors, and more. You can choose from an array of 3D Floor Plan profile options - choose your 3D perspective, wall-top color and cut height or decide if furniture, room names and product labels are rendered. You can give your floor plans a professional look by adding your branding. Add your logo, incorporate your company colors and create a professional floor plan letterhead. Generate high-resolution floor plans in JPG, PNG, and PDF formats for print and web. Print to scale in either standard metric or imperial scales. Do you need help or have questions about optimizing your floor plans? Our Customer Service team is here to help you! Please contact us.